February 16, 2018 marked the beginning of the New Year on the Chinese Lunar Calendar, the Year of the Dog. As the most important annual festival in China and many other centres of Chinese culture, the Chinese New Year is often celebrated flamboyantly all over the world. 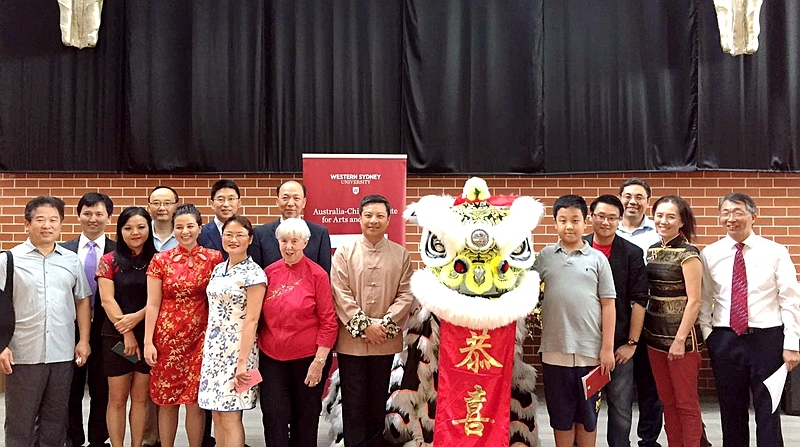 On 24 February, 2018, the Australia-China Institute for Arts and Culture of Western Sydney University had guests from all over Sydney for a reception to observe the traditional Chinese festival. Some 100 colleagues and students, friends and family, and members from the community attended the event. Pro-Vice Chancellor Professor Yi-Chen Lan, Dean of the School of Humanities and Communication Arts Professor Peter Hutchings, the Institute’s founding Director Professor Jocelyn Chey, Education Counsellor from the Chinese General Consulate in Sydney Mr. Niu Wenqi and newly appointed Consul Mr. Hou Yongfeng participated in the celebration. ACIAC Director Professor Labao Wang gave an acknowledgement of the country, welcomed the guests and introduced the program before Professor Yi-Chen Lan addressed the audience. 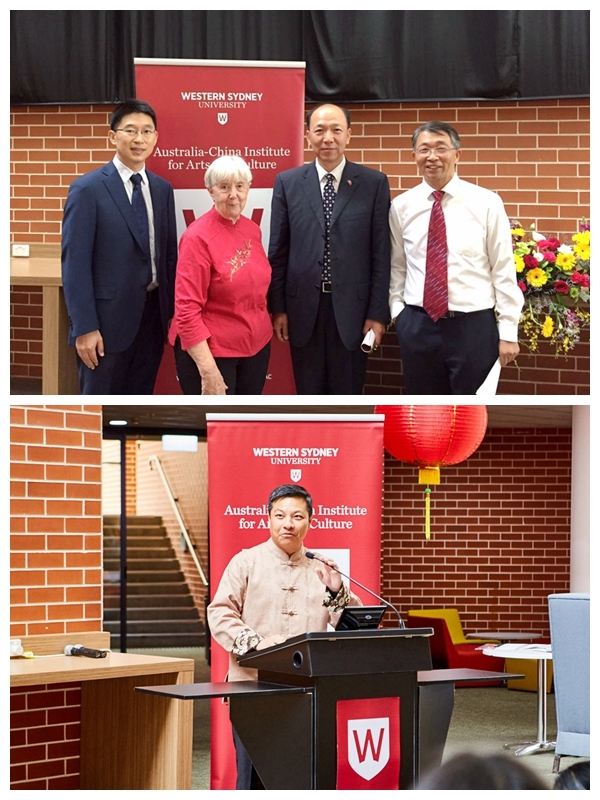 Professor Lan spoke about Western Sydney University and its latest achievements, and he also spoke about the founding of the Institute. He most cordially welcomed members of the audience to the Institute and the university for visits and thanked them for supporting our events and supporting exchanges in Australia-China arts and culture. 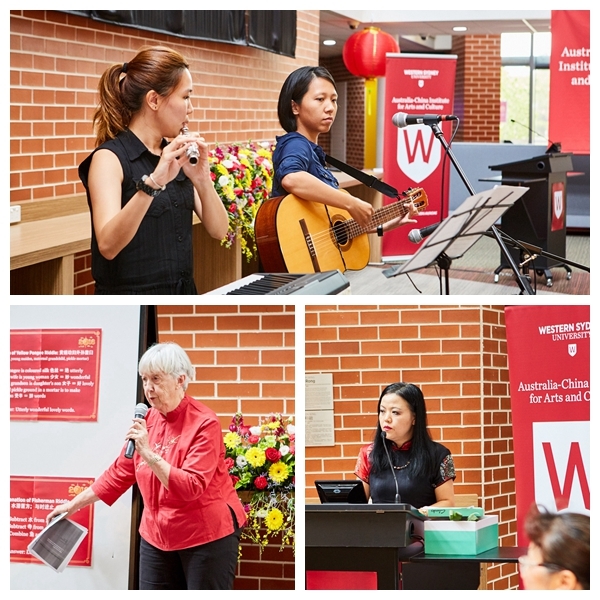 Two of Dr Alison Short’s graduates from the Creative Music Therapy Program at the School of Humanities and Communication Arts, Western Sydney University, started the program with some classical Chinese festival music and their songs. Their music was followed by two highlight speeches from the Institute’s most celebrated “cultural ambassadors”. Professor Jocelyn Chey engaged the audience through a presentation about “The Secret History of Chinese Riddles”. She drew attention to the importance of riddles at the heart of various cultures and called on people to look into their history for a more nuanced understanding of other cultures. Her speech was followed by a most enthusiastic round of riddles competition. The Institute’s key researcher Dr Jing Han spoke of her Australia-China story, a story that lasted over three decades. In her speech, she shared her inspiring story about her early study and work experience and more recent involvement as a translator/subtitler at SBS and senior lecturer at WSU. Jenny McElroy was the runner-up in Australia’s 2017 Chinese Language Bridge Competition. She worked with Mr. Kun Wu on a fascinating cross-talk about their own experience of grappling with another language with all its frustrations and excitements. Local Chinese calligraphy teacher Bai Daming came with her story about learning calligraphy and writing with a writing-brush for over two decades and she invited the audience to try writing the Chinese character for happiness and take it home. The program concluded with the passionate performance of a group of young Sydney lion-dancers and their interactions with an inspired and happy crowd. 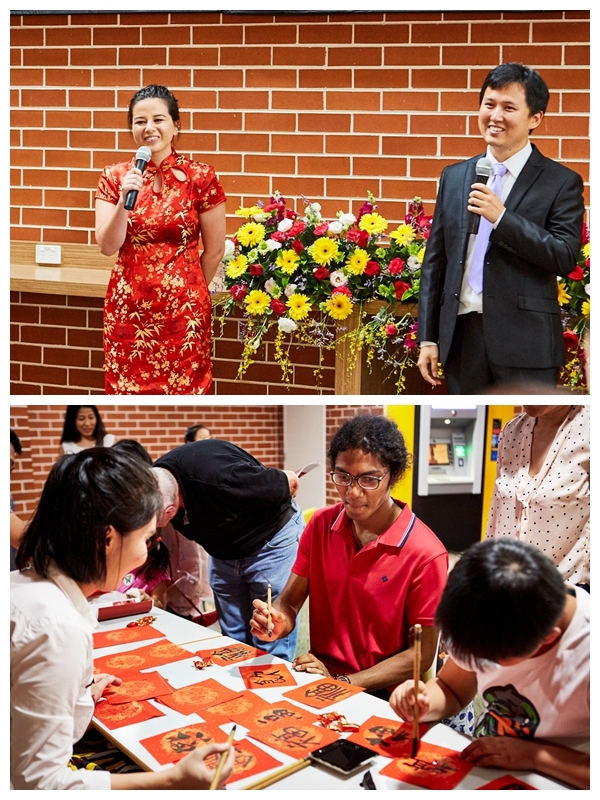 This year’s Chinese New Year reception was the second for the Institute. 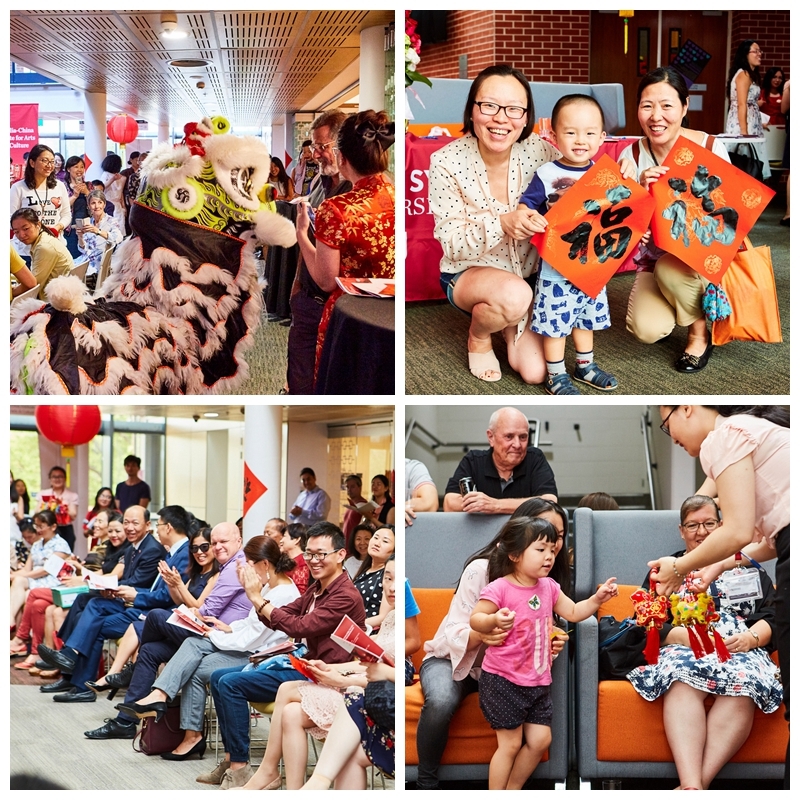 We are glad that the event is attracting more community members to Western Sydney University and we feel especially pleased to see a renewed commitment among a lot of community members to promoting Australia-China cultural communication and understanding.